Candlelight, soft music and your best steaks, still sizzling on the plate. 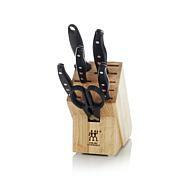 Bring out these steak knives for easy cutting and trimming and your guests will love you for it. 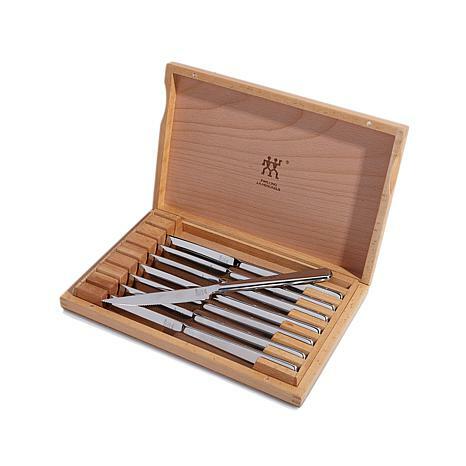 Their sharp, serrated blades work perfectly for cutting any type of meat from steak to poultry and their comfortable handles play nicely with hands. Dinner's served! I just love these knives. They are well made and cut really well. Perfect gift for our 45th!! I purchased this set for my husband for part of his 45th Wedding Anniversary gift. 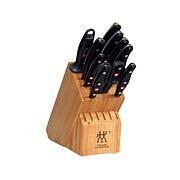 He will enjoy the knives for any of our dinner parties and cookouts on the deck. 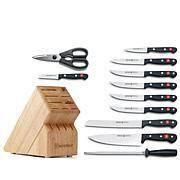 He mentioned several weeks ago that we needed new steak knives and could I keep and eye open for a new set. 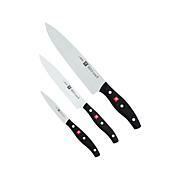 I just found these and I know he will be thrilled with them.He loves to cook and we have a complete set of the Zwilling JA Henckels knives and have had them for years and I'm sure these will last long past our time. Happy 45th my Dear!! Perfect Christmas gifts for my niece, who just a had a full kitchen remodel. Very happy with these steak knives. They are well balanced and made well. I received a Henckels Knife Set when my husband and I got married. Over the years, all my steak knives had disappeared. I love these knives!